Foster Fade is in every way the opposite of Dent's most famous creation. While Fade has a bit of Sherlock Holmes deductive reasonings and Craig Kennedy's scientific education, he doesn't have Abraham Lincoln's goodness or manifest Christliness. Foster Fade is in it for the prestige, for the fun of it. 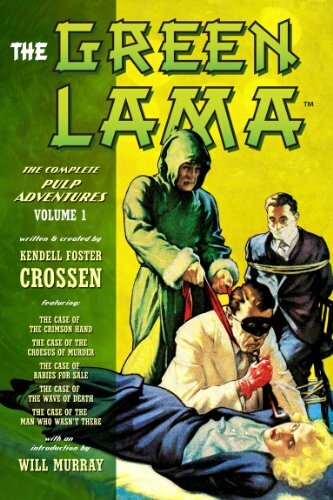 A private investigator hired by New York newspaper to investigate crimes and--at least in the case of my tales--ends up a little over his head. This anthology features not one but TWO of my stories: "Dead Men's Guns" and "The Black Rock Conspiracy". The former is based on idea my dad gave me when I was sixteen, so I can tell you finally being able to write this for him under such an auspicious license was an absolute honor. These stories were an absolute blast to write, Foster Fade and Din being two of the most fascinating characters I've ever had the privilege to write, and I'm so happy to finally share their adventures with you. The book is NOW available in softcover, for the Kindle, and the Nook. 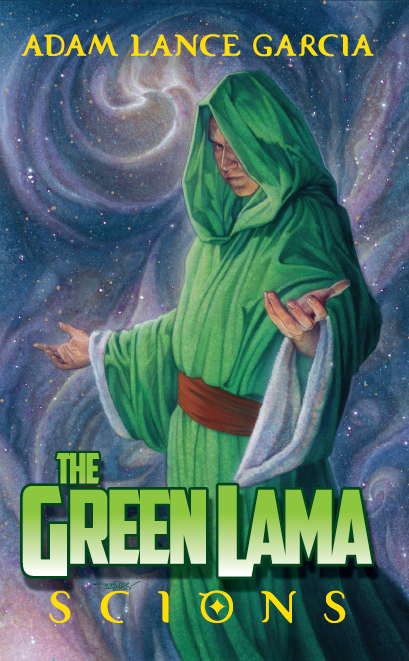 The Green Lama: Scions will be the first of many -- I do mean many --stories that Moonstone will be releasing over the coming months and years, including fully revised versions of The Green Lama: Horror in Clay and The Green Lama: Unbound , and yes, the long overdue The Green Lama: Crimson Circle . Working with Moonstone has been a career goal of mine the moment I began writing New Pulp and it is an honor and a privilege to be working with Joe Gentile and Kendra Crossen to not only continue Kendall Foster Crossen's legacy, but to introduce the character to a wider audience. 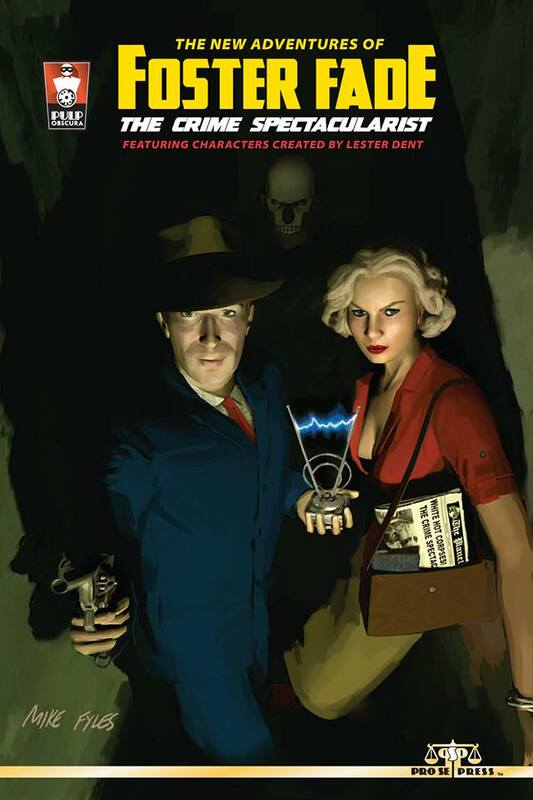 It's a standalone story meant to introduce new readers to the characters while tying directly into the larger mythos.. 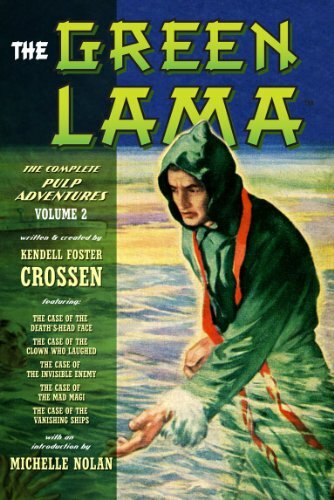 The story takes place between Horror in Clay and Case of the Final Column. It's a horror story and one of my darkest stories yet. You can preorder the book RIGHT NOW at a number of retailers, AROUND THE WORLD, including Amazon, Barnes & Noble, Indigo, and Walmart! More news will be available over the coming months, but needless to say, I've been waiting to share this new with you for a very long time. 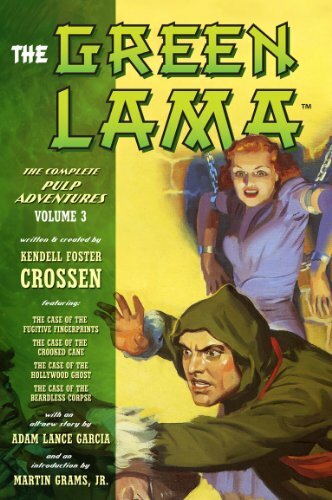 I'm incredibly happy to share that my Green Lama novella "Case of the Final Column" - part of Altus Press's beautiful three volume collection of Classic Green Lama tales -- is now available for Kindle and Nooks.